With so many smart technology devices and users—six billion Internet of Things (IoT) connections in 2015—we’ve long surpassed the adoption phase. Now, the focus has shifted to refining and improving features to help products stand out from the competition, especially in the realm of security. 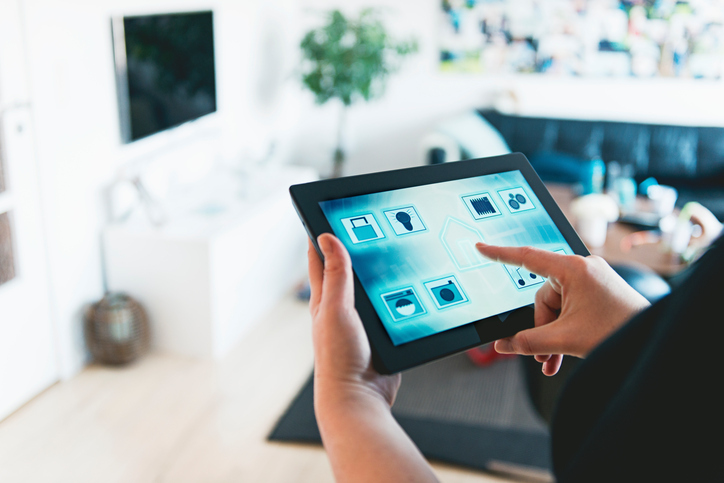 For years, tech enthusiasts, users, creators, and hackers have expressed their concern over the safety vulnerabilities of numerous IoT devices, from smart locks to thermostats. At the DEF CON security conference in August 2016, devices fell to hackers who discovered 47 vulnerabilities affecting 23 devices from 21 different manufacturers. Some of the security issues, which included hard-coded passwords, lack of network segmentation, and open access points, could potentially be exploited by hackers to shut down devices or spy on users. This vulnerability is particularly unnerving when you consider that someone could hack devices such as home security systems or smart locks that are specifically intended to help protect you and your home. IoT startups are well aware of these concerns, which is why so many have recently directed their focus toward security enhancements. Here are three examples of how some startups have improved the security of their devices. In the past, multiple security layers were reserved for bank accounts and devices that required the exchange of financial information. However, several startups now use “fog computing” for their IoT devices. Fog computing reduces the amount of data sent to the cloud and adds extra security checks to reduce the risk of an attack by a hacker or bot. Beyond fog computing, other startups use secure encrypted communications networks and encrypted storage for greater protection. In response to some IoT devices’ safety shortcomings, several technology firms have developed products that serve as a security add-on to your other devices, blanketing your IoT ecosystem and managing your gadgets’ interactions in a more centralized manner. F-Secure, a Finnish security firm, developed the SENSE gadget to act as a “watchdog” for your connected devices. The SENSE connects to your Wi-Fi router and scans your network activity to monitor for suspicious behavior, such as a hacker attempting to access your smart thermostat. Sometimes, the best way to fight hackers is with faster hackers. Many IoT startups followed in Google’s footsteps by hiring hackers to test their systems for vulnerabilities. For example, Square, which sells devices to make mobile payments easier, has a bug bounty program. Along with proactively updating and monitoring their technology, companies like Square openly seeks hackers to help find problems in their systems before a malevolent attacker does. Despite susceptibilities, the IoT is predominantly secure. Anytime you share information across a network or cloud, there’s a chance it may be intercepted. But while there can never be a truly hack-proof system, users can feel more secure using connected devices in their homes knowing that startups and tech giants are addressing security concerns. Alice Williams has an MA in Communication Studies and a passion for wellness. She started Honestly Fitness, a health and fitness blog, to share sustainable ways to live a happy and healthy life. In addition to wellness, she enjoys writing about business, social media and of course, tech.